Viewers who tuned into the VMAs saw an ambitious new anti-smoking ad campaign launched by the American Legacy Foundation. The “Finish It” commercial is part of the Legacy’s ongoing “Truth” campaign, which started in 2000 and is credited with stopping 450,000 teens from lighting up. 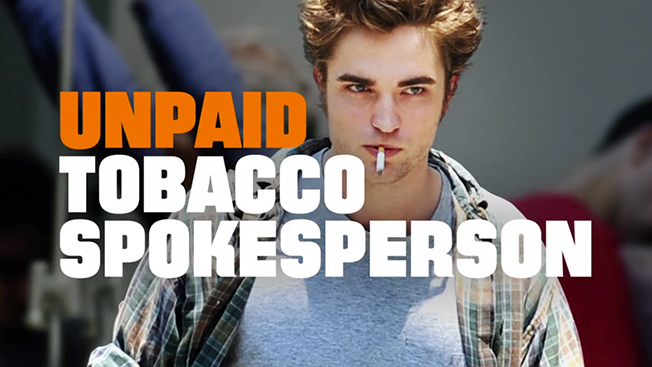 The fast-paced TV spot sends a powerful message to teen smokers that they can be the generation to end smoking. Teen smoking rates have dropped to 9 percent, down from 23 percent when Legacy first launched its campaign fourteen years ago, and that fact is featured in the ad in stark white letters on a bright orange backdrop. As part of its integrated anti-smoking media campaign, Legacy has also produced spots that target social media photo posts of young smokers trying to look cool. The message to the smokers in the photos: You are promoting big tobacco without knowing it. Legacy’s focus on social media points to a shift in messaging without making a direct attack on tobacco companies. U.S. Attorney General Eric Holder dropped plans to force tobacco companies to label their packages with health warning messages tied to confronting, graphic images. Shock value packaging may have been dumped in the U.S., but in Australia, it's the law and is being credited with a large reduction in smoking rates. Tobacco companies continue to spend vast sums to promote and market their products, to the tune of $8.4 billion annually, according to the Centers for Disease Control.